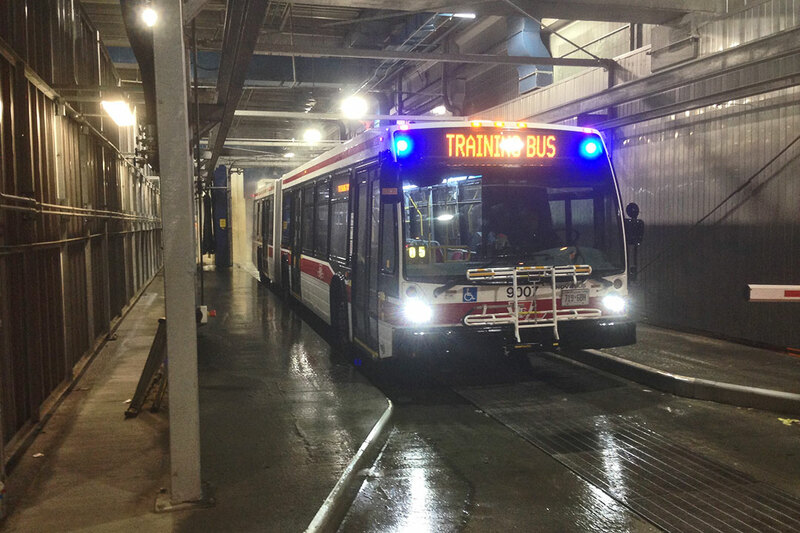 The TTC Malvern Bus Garage is responsible for washing, refueling and maintenance of a large ﬂeet of Toronto buses. The Pilot Project was completed in phases; taking advantage of off-hours to ensure daily operations continued without interruption. The construction scope included the removal and addition of concrete slabs for process water collection, the addition of new automated washing systems complete with process equipment and control platform adjacent the wash lanes. 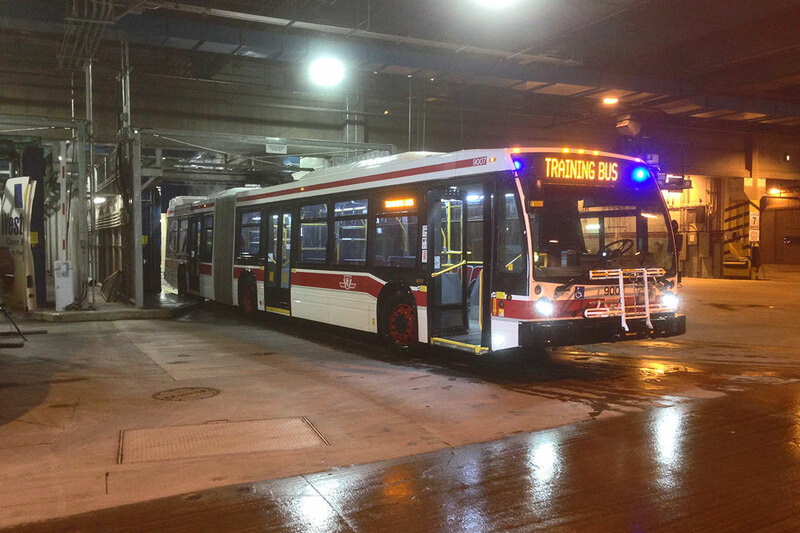 Buses were in continuous rotation during each construction phase. 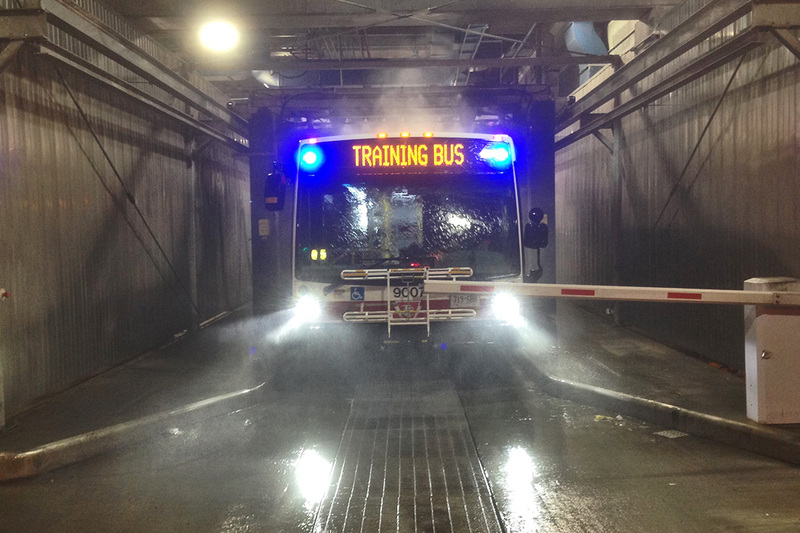 Several risk factors were assessed, including heavy bus trafﬁc outside of the building, a congested staging area for equipment, and limited visibility for both workers and drivers due to hoarding and obstructed views. All risks were addressed cooperatively between Matheson safety professionals and client safety ofﬁcers.